In rheumatoid arthritis (RA), lipid levels are dynamic and can fluctuate along with changes in inflammation. A reduction in inflammation, most commonly as a result of disease-modifying anti-rheumatic drug (DMARD) therapy, is associated with increases in total cholesterol (TC) and low-density lipoprotein cholesterol (LDL-C). In this review, we discuss new evidence shedding light on the potential mechanism underlying changes in lipid levels observed with changes in inflammation. Measured lipid levels in the blood are a result of a balance between synthesis and catabolism or absorption. Recent human studies in active RA show that the catabolic rates of lipids are higher than expected compared to expected rates in the general population. DMARD therapy appears to allow a return to baseline lower catabolic rates, resulting in an apparent increase in lipids. Increases in lipids observed with control of inflammation and RA treatment suggest a return to homeostasis. Studies are underway to understand the overall impact on cardiovascular risk in RA when lipid levels increase as a result of controlling inflammation. We would like to acknowledge Jie Huang for her assistance with creating the figures for this review. JP and KPL are funded by NIH R01 HL127118 and the Harold and Duval Bowen Fund. Dr. Plutzky reports support from Amgen, Sanofi/Aventis, Aegerion, and Esperion, during the conduct of the study. Dr. Liao has nothing to disclose. 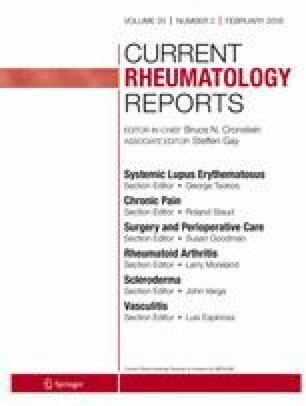 Lipids, Inflammation and CV risk in RA, NCT02714881. ClinicalTrials.gov [cited 2017; Available from: https://www.clinicaltrials.gov/ct2/show/NCT02714881. Clinicaltrials.gov. Treatments against RA and effect on FDG-PET/CT (TARGET), NCT02374021. 2017 [cited 2017 10/13/2017]; Available from: https://clinicaltrials.gov/ct2/show/NCT02374021.